The Pros & Cons of Implementing an Online Credit Application Process - Credit Mediators Inc. In our world of ongoing technological improvements, it seems that companies are continuously striving to rationalize many aspects of their operations. Whether it’s the assembly line process, in which manufacturing robotics often replace factory workers, many functions, including the accounts receivable management cycle, are also a prime target for technological refinement. One function that can impede the flow of sales has to do with processing credit applications. As credit managers, we fully understand how important it is to support sales with reliable credit evaluations that will help to “seal the deal.” However, when verification of the information on a credit application entails a long and laborious process, the sales process is impeded and in some cases sales opportunities may actually be lost. But like every innovation that can provide many benefits, implementing an online credit application process can also have accompanying pitfalls. 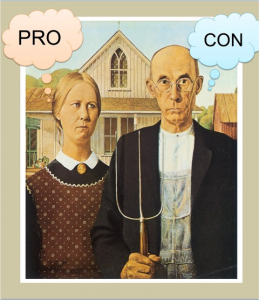 Let’s take a look at the pros and cons of using such a system. As many online credit application systems are created and hosted by third party providers, you don’t have to start from scratch when initiating one. Most times an online credit application system requires customers to provide all essential information accurately before being able to submit the document. This greatly reduces the number of incomplete applications and the need to follow-up for further information. For companies that have a high volume of new customer applications with relatively low credit limits, this online assembly process can reduce processing time from days to hours. Data from various credit information resources can often be interfaced into the credit application process, which supports the evaluation and credit scoring application. Bank and trade confirmations can be sent out through the system via fax or email, which again supports the processing efficiency. By virtue of being on line, the entire process can be integrated with the needs of the sales, accounting, legal and other related departments. New or important customers, especially those that require “special handling,” may find the online credit application process uncomfortable. The credit “feel” of a potential customer that is often gained by speaking with the people in charge at the customer’s location, may be something that is completely lost when an application is processed electronically. There is always the increased potential that data in an online credit application will be leaked, lost, or mistakenly disseminated. Signatures on credit applications, particularly on sections such as personal guarantees, may have more legal substantiation rather than clicking the “I authorize” button in the application process, which one could argue was clicked in error or deny it’s their electronic signature. As we move forward in the technology evolution, consideration as to whether or not an online application process will work for your company will depend upon your industry, the product, the number of applications and the depth of the relationship required with the customers.